Wedding Dessert Table Ideas that will Blow your Mind: Create Yours! Check out this incredible roundup of wedding dessert table ideas and follow these tips to create the most fab sweets & desserts presentations! They will elicit piles of ohs and ahs from your guests for sure! 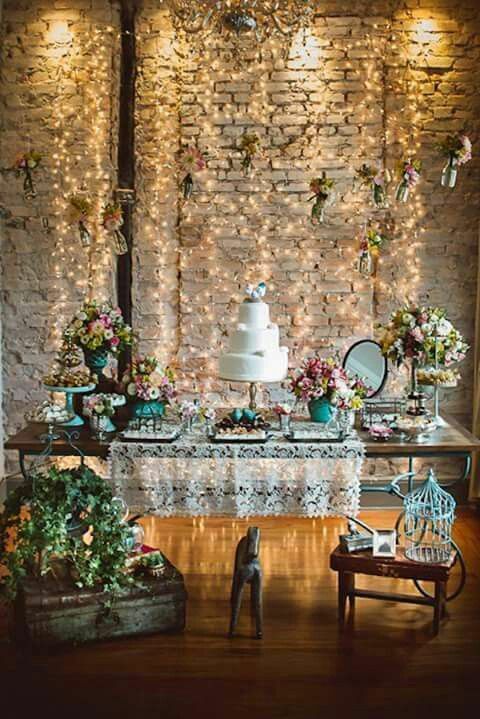 Add some glam to you indoor wedding by placing a lighted backdrop behind your wedding dessert table. 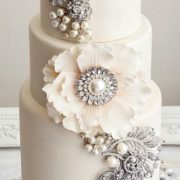 Both the wedding dessert table and the wedding cake, become the guests’ focal point after the reception’s dinner. Therefore, we may find ourselves at a loss when it’s time to pick what to serve at the dessert table and how to dress it up. Don’t despair! We’ve compiled a list with the best tips and suggestions to help you create the most fabulous wedding dessert table ever! Take notes and impress your guests with these stunning and creative wedding dessert table ideas. Before even considering the dessert table decor, let’s go through some ideas to inspire your wedding dessert table menu. 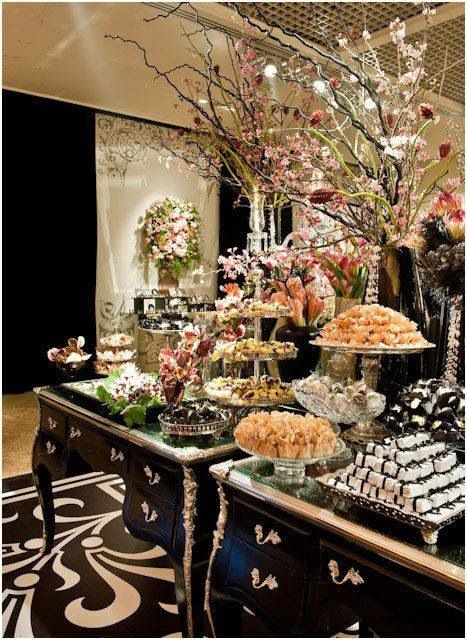 We wouldn’t want to have a magnificently decorated table that doesn’t match our scrumptious and mouth-watering sweets. AmIright? The variety of sweets is truly endless. They range from lighter and less caloric versions, such as gelato or strawberry parfaits, all the way to those irresistible, decadent and appetizing desserts that will ruin anybody’s diet, like eclairs, cake-pops, sugar meringues, cheese cakes and macarons. But the list does not end here. 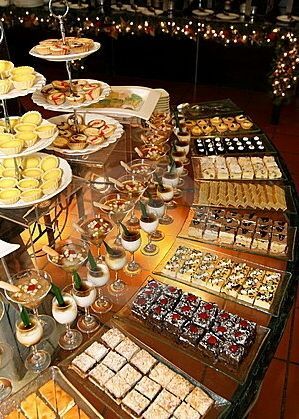 So, how do we choose what to offer at the wedding dessert tables when we have so many delicious and tempting confectioneries to pick from? Just follow these tips to help you choose your wedding dessert table menu. While is true that offering a variety of sweets and desserts will make it easier to satisfy your guests’ preferences, don’t ever forget that it’s your big day. Pick a couple of your favorite desserts (at the very least) to start building your wedding dessert table menu. 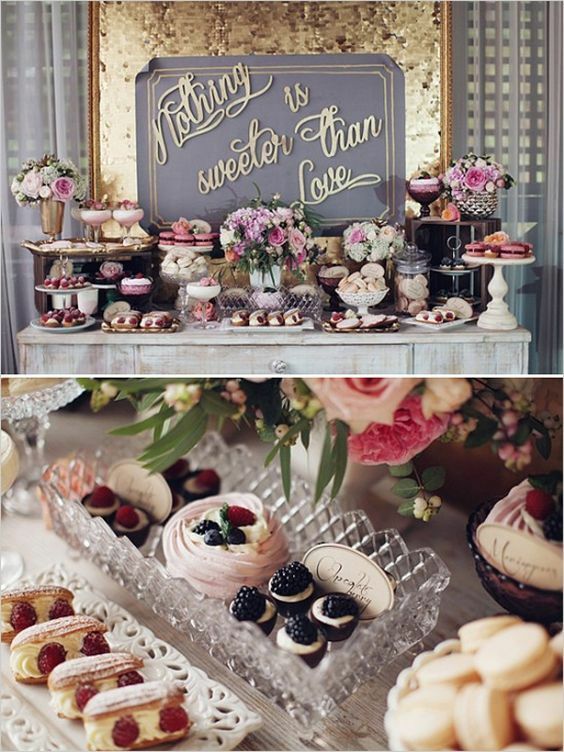 “Nothing is sweeter than love” wedding dessert table ideas. 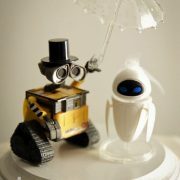 Are you getting married in the winter? Indulge in rich desserts like molten lava cakes, crispy churros, baked apples with dried cherries and maple syrup, Linzer cookies, warm almond cinnamon apple pudding and black forest cakes. Your guests will love to linger at your reception just a little longer to taste each and every one of your desserts! Summer weddings call for lighter fare like an interactive ice-cream bar, refreshing fruit cups, frozen yogurt coconut pops, lemon-infused custard pudding, blueberry pies and stone fruit pouches. Take into account the season to decide what to offer at your wedding dessert table. What an amazing way to use the weather in your favor! Dessert tables for summer weddings. For a greenery wedding add ferns and leaves to the wall and table and a few pops of colorful flowers. Winter inspired dessert table ideas. 3Should the wedding dessert table menu fit the main reception menu? Not necessarily. You may offer desserts that fit the style of the food you served for dinner, lunch or at your cocktail reception. A French affair may be followed by Crème brûlée, crepes, éclair au chocolat, or mille feuilles – the famous Napoleon dessert. Citrus desserts, plum creams and strawberries custards for a Mediterranean meal. But if you’d rather have contrasting flavors, forget about what you served earlier and show off scrumptious desserts from different cuisines such as Tuscan Biscottis or British scones with butter and jam. 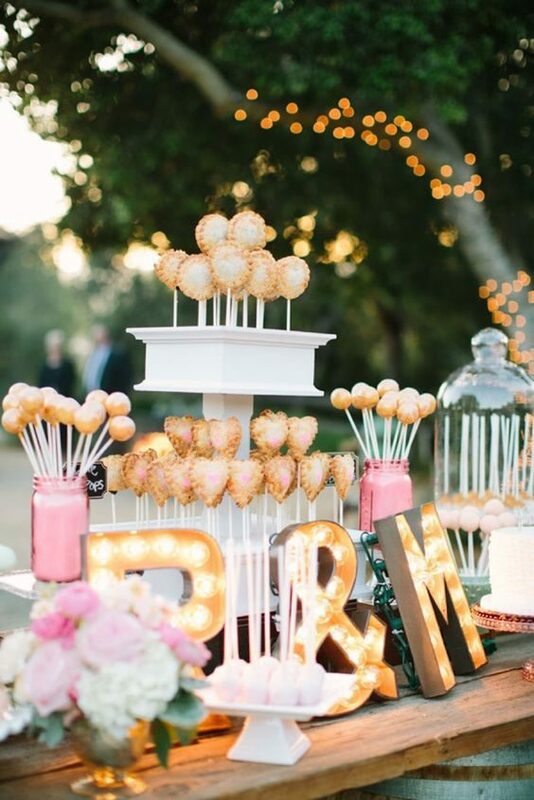 Parisian themed weddings can incorporate this romantic and sweet dessert table idea. 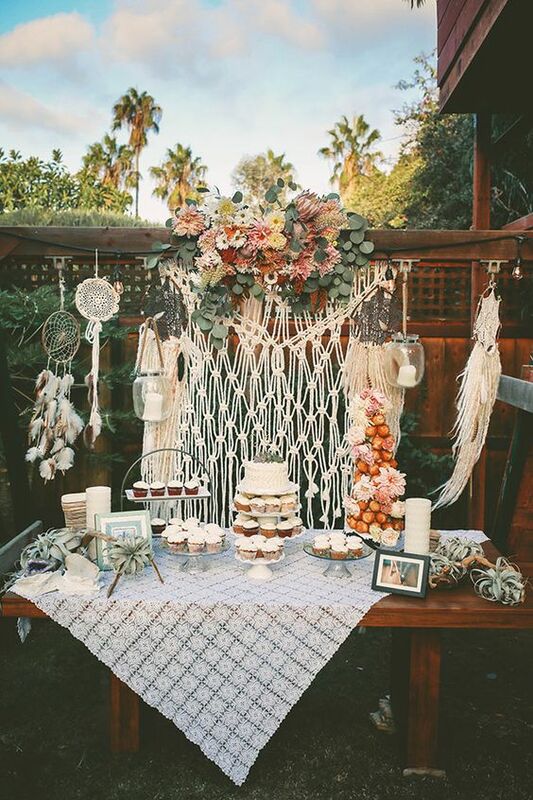 Achieve a vintage rustic dessert table look with baby’s breath and white bird cages. 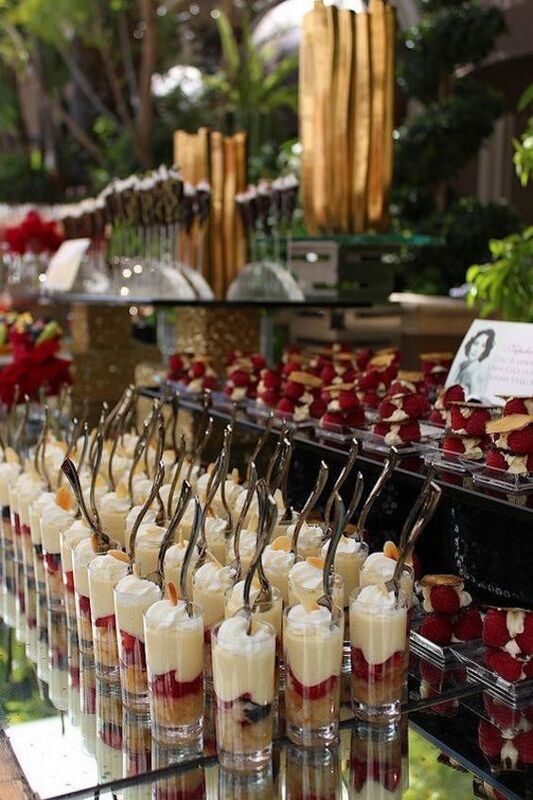 There are no rules regarding the amount of interactivity guests must have with a wedding dessert table. 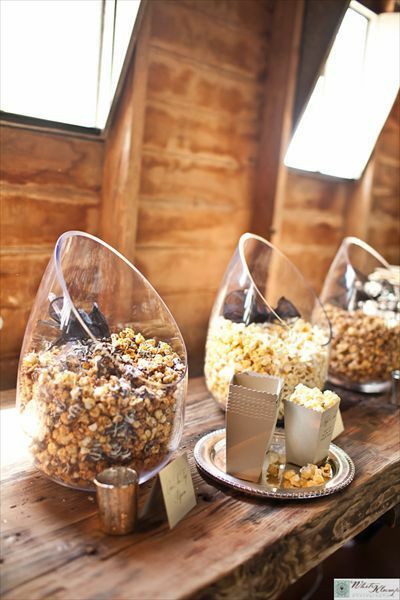 Popcorn bars, s’mores bars, crepes and waffle bars or ice-cream bars can provide an added level of fun to a wedding! Surround them with plenty of sprinkles, toppings and a variety of syrups and encourage your guests to be creative. 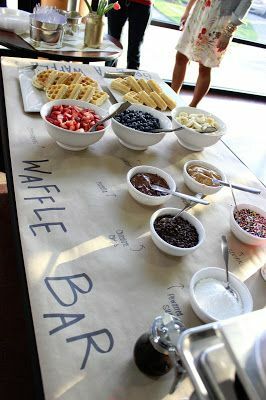 Interactive wedding dessert table: a waffle bar! Popcorn bar! Awesome addition to a wedding reception and great for adults and children! 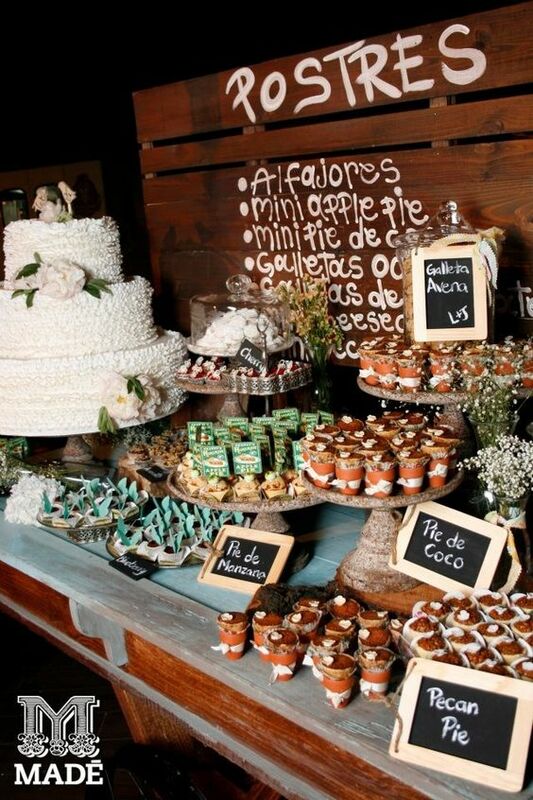 There are many fabulous wedding dessert table ideas where to obtain some inspiration. These ideas and tips will help you to setup a wedding dessert table with the simplest or the most elaborate decor. 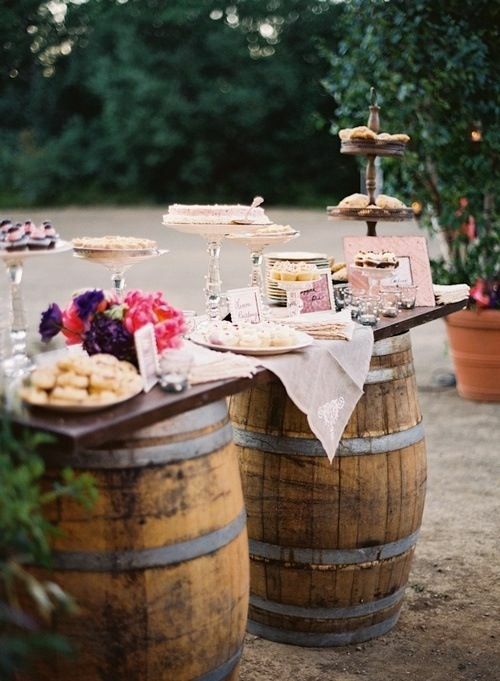 Either way, you dessert tables will look stunning! This is a great and original tip for an outdoor wedding. Get a hold of a desk with drawers and display these sweet temptations out of every corner of the furniture. Flowers and greenery will add a more finished look to your dessert table. Quite simple and all you will need is a couple of friends to help you move the desk to the garden. Tip: Protect the cakes, cookies and other sweets from insects with glass or acrylic covers. Cobalt blue and sage green intimate garden wedding. You can either pick desserts that match your wedding colors or you can have your chef add food coloring to the macarons, cookies or donuts! 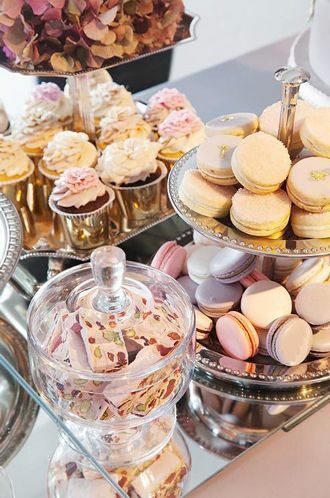 Offer macarons, meringues and cookies, as long as they match your wedding colors! Avoid renting a table by creating your very own. What you will need: some trestles, a wooden stair or a couple of barrels and a wooden plank. 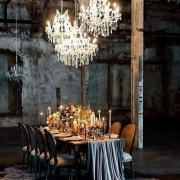 Rustic looks don’t need much finishing, glam looks may demand a sparkly tablecloth. 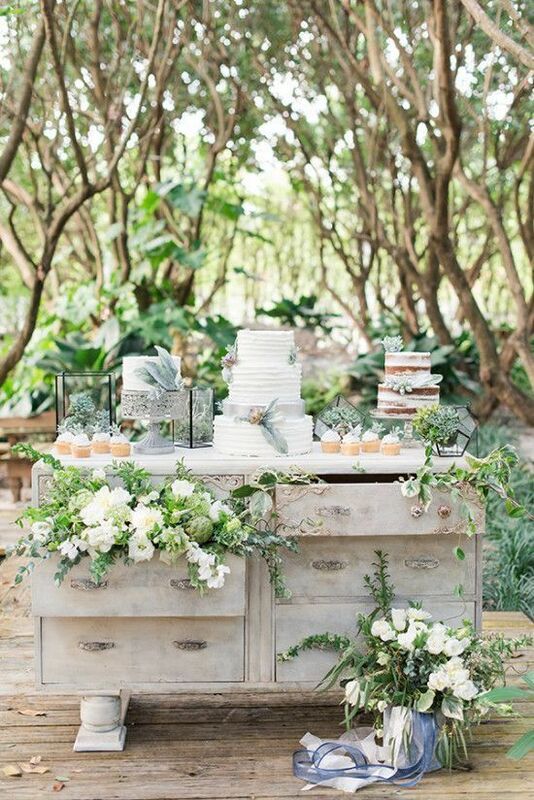 A not so improvised dessert table packed full of shabby chic and rustic details for a garden wedding. 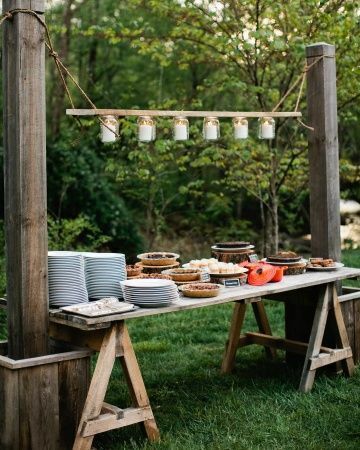 Rustic chic wedding dessert table over trestles and lighting built in with a row of hanging jars. A few signs that explains the dessert menu, plates, napkins, silverware and a trash can are essential for a successful wedding dessert table. 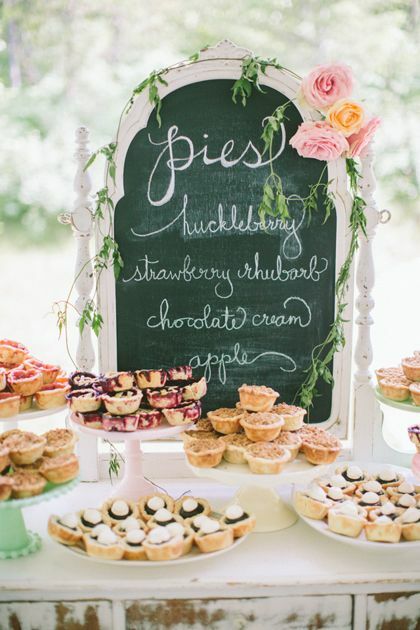 Add a board with a description of the delicious sweets to help your guests pick their favorites. Elegant furniture as a table, lighted backdrops, shiny tablecloths and mirrors are terrific ideas to add some glam to your wedding dessert table. 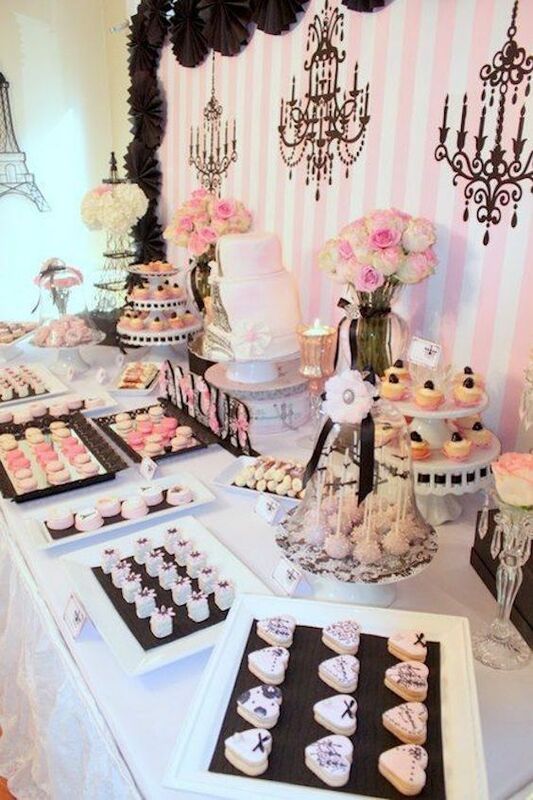 Old furniture adds elegance to your glam dessert table. 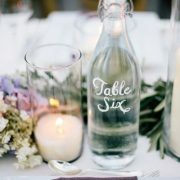 Place your wedding dessert table against a wall and personalize it with a few mirrors and signs. 6How much is too much? When it comes down to how many desserts you will need, there’s a simple rule. Divide each dessert by the number of bites it takes to eat them. A cake-pop is one bite, a cupcake may be two, and a cake slice may be three or four bites. Now, estimate 10 bites per guest and avoid a pile of leftovers while reducing your expense. 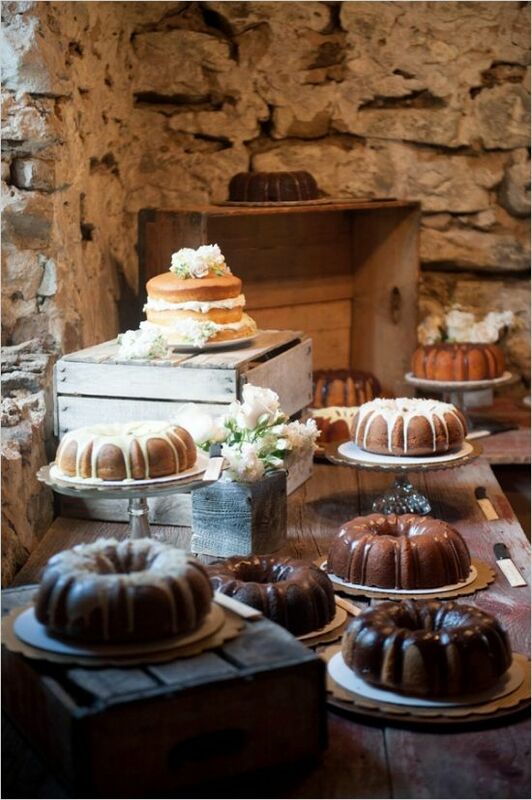 Rustic chic bundt cake dessert table. This sweet table set up is divine. We could eat it up! Any dessert table will need a liquid accompaniment. You can complement your cookies with milk, popcorn, donuts and waffles with fruit juices or fruit infused water and your cakes with a coffee bar. Remember to offer some beverages with your dessert bar. 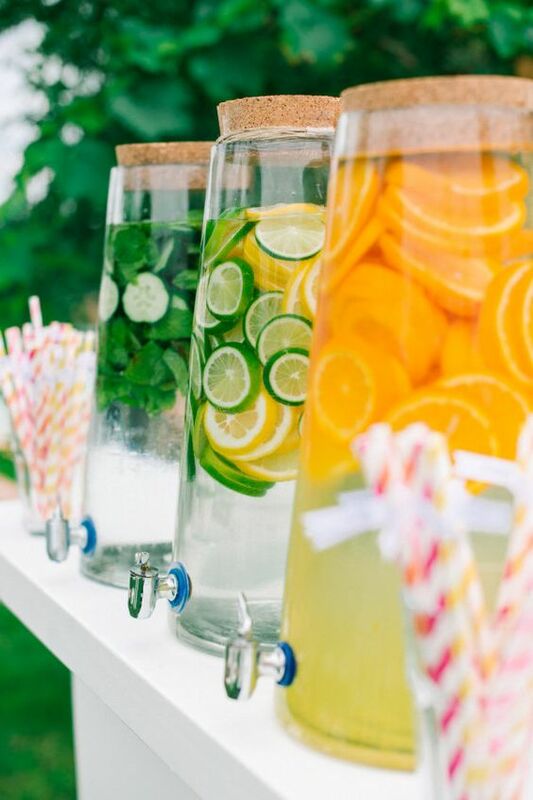 Uber chic drink station for an outdoor wedding. 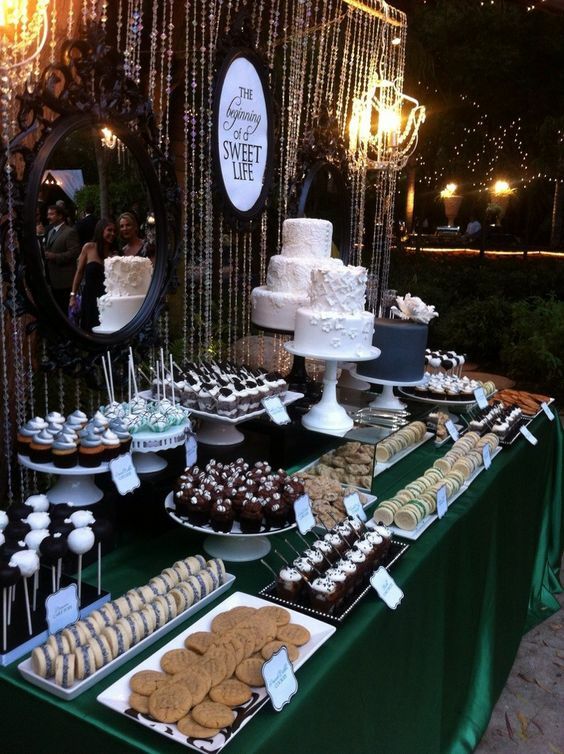 A wedding dessert table nobody will be able to resist. 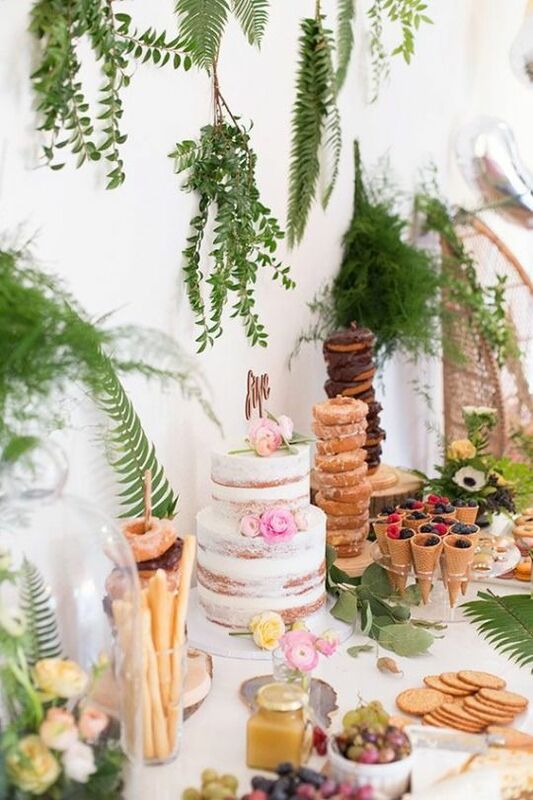 Cool way to do a dessert table…raised up with greens underneath. Dessert table with mini desserts. 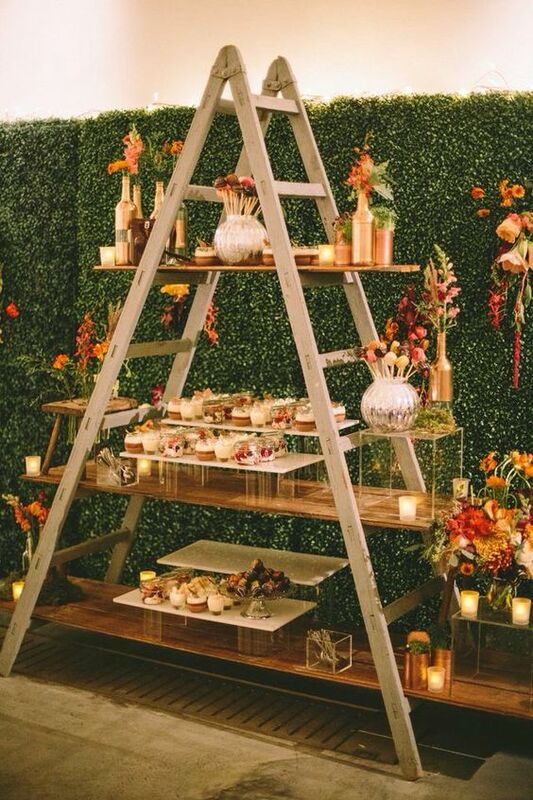 Set up your wedding dessert table on a ladder with a few wooden boards for an original and affordable presentation. Stylish mini pie pops will definitely delight your guests. Vintage Parisian dessert table ideas. The detail on the cookies is adorable. 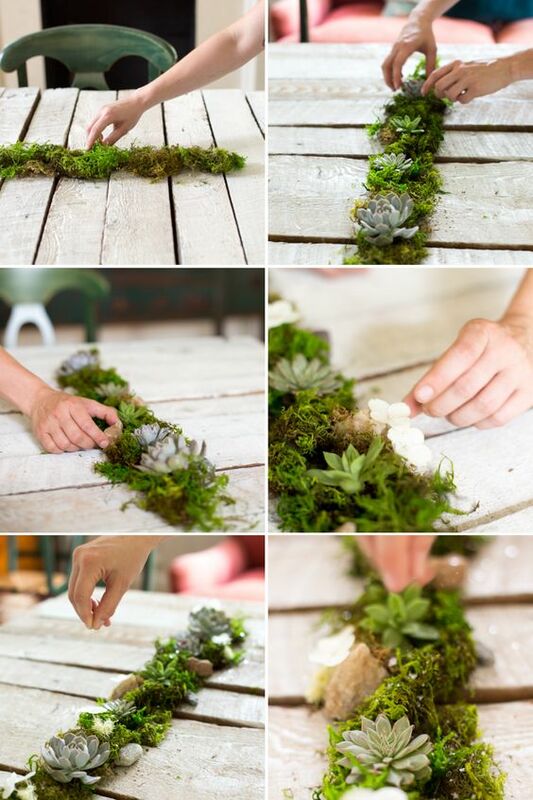 Moss table runner with loose succulents, mini terrariums and mica flakes. A dark rose dessert bar is super glam and, needless to say, delicious. 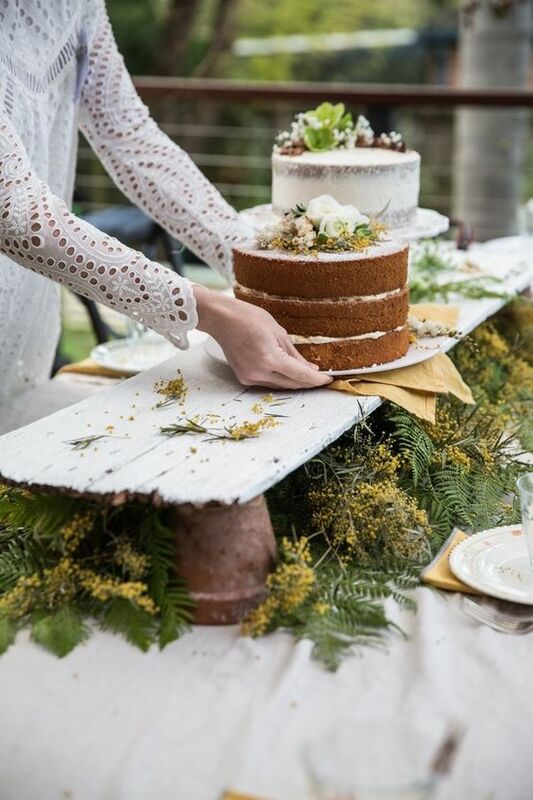 https://bodasyweddings.com/wp-content/uploads/2017/07/bohemian-wedding-dessert-display.jpg 846 564 Bodas y Weddings - Antonio https://bodasyweddings.com/wp-content/uploads/2019/01/bodasyweddings-logo-byw.png Bodas y Weddings - Antonio2017-07-15 11:58:492018-05-08 18:35:11Wedding Dessert Table Ideas that will Blow your Mind: How to Create Yours! 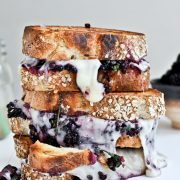 Bodas Tipo Brunch Originales, Deliciosas y Económicas ¡Ideas y Consejos! Zapatos para Fiesta de Matrimonio, Tendencias e ¡Invitadas Felices!